The days are getting longer and winter is almost gone, the birds are returning, and spring is in the air! With ice and snow on the roads in the wintertime, a scratch after skidding on black ice is a common hazard. Or maybe another driver damaged your car while it was parked and drove off without leaving a note. We offer you a spring discount of 20% on all car body work if you contact us before May 15 to book a date for the repair. The visual inspection is gratis. A cost estimate is calculated using the professional AUDATEX system. If you don’t have the time for a personal visit, just take some photos of the damage with your cellphone and send them by email to peter@biron.ch. Our precise damage diagnosis enables us to make an exact price calculation. Our work is prompt and cost-effective. And we plan—and guarantee—the time when your car will be ready. We are also offering a 20% spring discount on car care, outside and interior, including upholstery care and odor removal. The price starts at 400 Swiss francs, and might vary depending on the type and size of the vehicle. 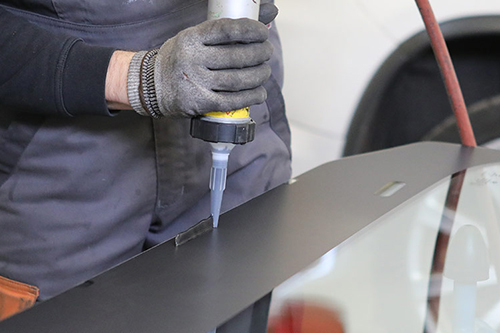 In our workshop we repair all damage to the car body and paintwork from hailstones or other objects. 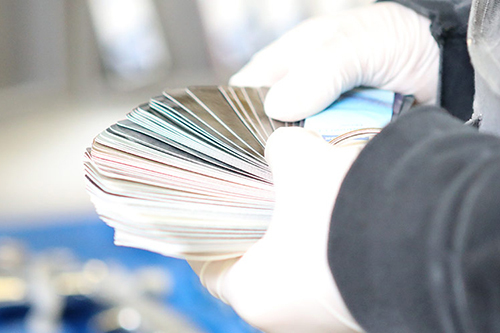 Our service covers aluminum and plastic parts, and all auto glass. We specialize in painting passenger cars, SUVs, motorcycles, buses, classic and vintage cars as well as boats. We offer pick-up and delivery of your vehicle, provide you with a replacement vehicle during the repair, and can pick you up with a tow truck if necessary. We wish you an excellent start into spring! 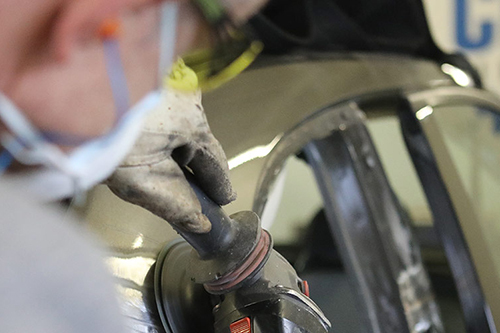 Peter Biron and Philipp Kägi have been running a car body work and paint business in Brüttisellen, Zurich for about 30 years with 10 employees. We offer quality work at a high level. 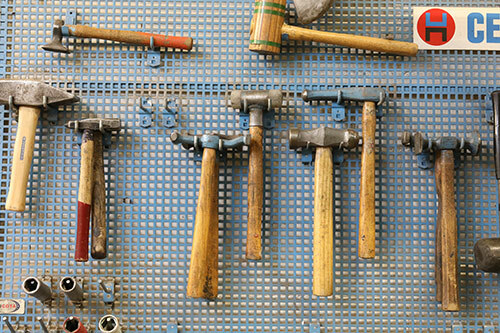 With flexible, modern computer programs such as AUDATEX calculations, inventory of damage cases with car body work and paint jobs, including claims settlement, are carried out quickly in a professional environment. In our workshop, we repair accident cars, hail damage, parking damage, car glass, aluminum parts as well as plastic damage. We paint passenger cars, motorcycles, buses, vans, boats and vintage cars. In addition, we take over the complete car care from inside and outside, including upholstery refurbishing and odor removal. We offer pick-up and delivery service for your car, provide you with replacement vehicles and pick you up with the tow truck if necessary. 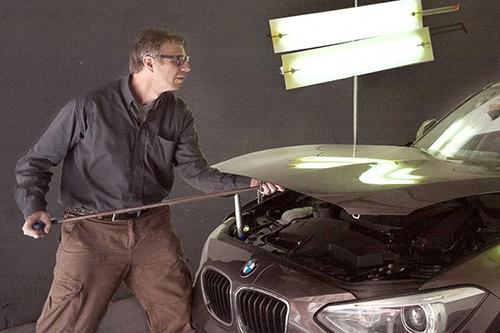 Overall, our company repairs about 800 vehicles per year – half of them are BMWs. 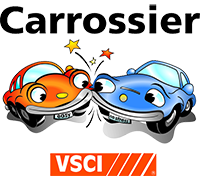 We are proud to be certified as an independent partner of BMW, VW, Axa, VAUDOISE and Mobiliar. For our customers, we are experts who stand for the quality and fairness of our work. Our employees are trained at the highest and most up-to-date BMW standards and our family flair contributes to a high quality work. At our ideal easily accessible location at the interchange Brüttisellen we can be reached by our customers within a few minutes from Zurich Oberland, Zurich North, Zurich City and Winterthur. The damage is first calculated using the professional computer calculation system AUDATEX. 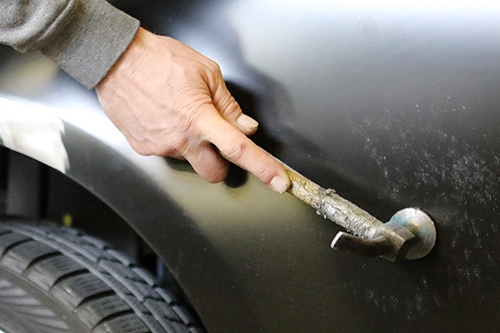 With the new dent removal/flattening technique, a dented car body without paint damage is restored to its original state with special hand tools. We paint passenger cars, motorcycles, buses, vans, boats, billboards and everything that needs a new look. We repair and replace the windows of your car. Stone chip is the most common cause of car glass damage.